How do you rebuild a brand in a 75-year-old product category, in a mature market, with greater than 50% product awareness? That was our challenge. We used data collected from customers, who told us what they wanted in a disposal. We talked with sales people to find out what they were hearing from customers. We talked with professionals to discover their challenges. 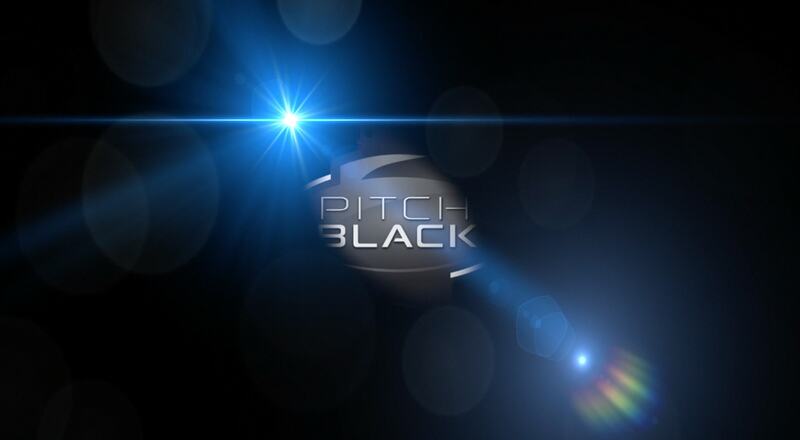 We developed “Pitch Black,” a comprehensive marketing program to help launch the new PRO Series line of disposers from InSinkErator®. 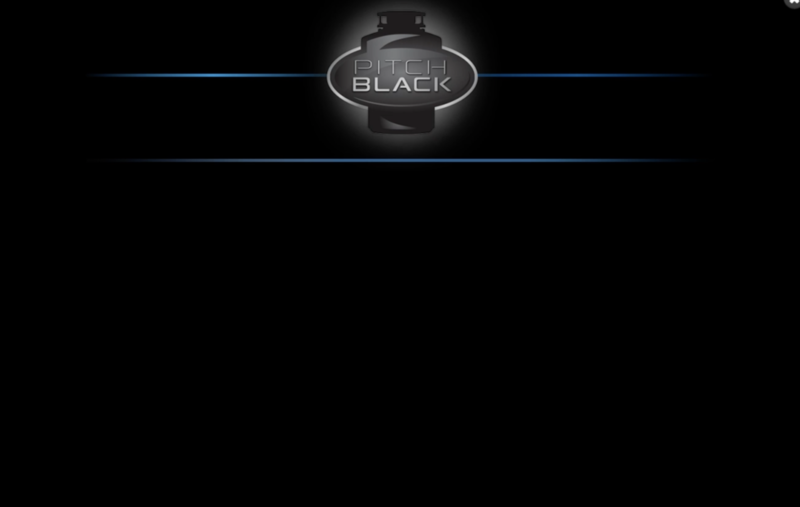 Acknowledging that competition from big box stores and online retailers is a reality for professional contractors, “Pitch Black” presents the new PRO Series® disposer line – which are black in color for the first time – as being “weapons” they can use to re-establish themselves in the competitive marketplace. This new advantage comes from the fact that PRO Series® – with more horsepower and longer warranties than retail models – can only be sold by and through professionals. C-22 built the product launch around an online training module that was built with a dark, “Special Forces” theme to create a sensation for participants that as plumbing pros they are actually agents in a battle. The introductory video includes a scene in which a contractor is being pursued by an enemy in a helicopter. With graphics and sounds giving the impression of a high-tech, heads-up display, each of the PRO Series® models is introduced, with key benefits of each included. The Special Forces theme was carried throughout direct-to-desktop and point-of-sale promotions, each of which emphasized the black color of the new disposers. Thank you for this training module. They are very helpful in getting the mental picture of why it is necessary to have this knowledge. InSinkErator is one of the few companies that actually gets it ... and I say this with more than 35 years in the trade. I loved the ‘Pitch Black’ training module! Very impressed with the new disposals and cannot wait to have them selling in the field! Just thought I would let you know! Keep up the GREAT work!! 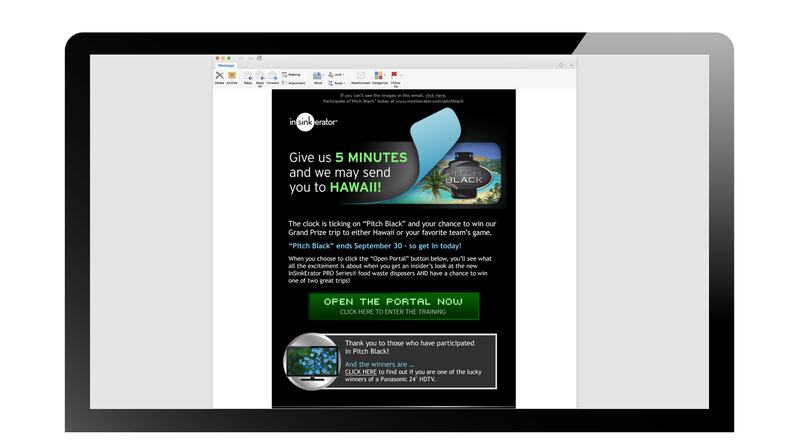 InSinkErator does the best online training I’ve ever experienced. Thanks.